We've been excited about Akeelah and the Bee for a good while now and were more than a little concerned when the film's release date inched further and further away from what was originally expected. But now, the film seems destined to reach even greater heights with the recent announcement that Starbucks will begin a massive in-store promotion for the film--marking the first foray into the movies for the Coffee giant. We're ecstatic to see the first on-screen pairing of Angela Bassett and Laurence Fishburne since the What's Love Got To Do With It? and Boyz 'N The Hood days. These two master thespians alone are enough to get us into the theaters. But keep a keen eye on Keke Palmer, who stars as Akeelah. At the tender age of 12, she's already received several major acoolades; she's been nominated for an Image Award, Screen Actors Guild award and a Young Artists Award. You'll be seeing much more of Keke Palmer; she's shot a pilot television show for Disney (Keke & Jamal) and will co-star in the upcoming Madea's Family Renunion. The industry is buzzing about Akeelah and the Bee and for good reason! Akeelah and the Bee opens nationwide April 28th. ID model, Sherica Maynard, is a fresh face to watch in the fashion world. This youngster is poised to be a sensation in the vein of Jessica White, another teen model we profiled on The Cocoa Lounge in 2001 when she was about Sherica's age (see Cocoa Lounge screenshot image below). With the endless possibilities available for young models these days, we're looking forward to great things from Sherica Maynard. Since 2001, Jessica White has become an industry name, nabbing spreads in international magazines and becoming the first African American model to be featured in three consecutive editions of Sports Illustrated. 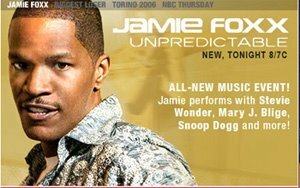 Rumors have it that the great Peacock's feathers were ruffled when Jamie Foxx insisted on keeping the original line-up of performers for his Unpredictable special which airs tonight on the network. NBC reportedly wanted Jamie Foxx to diversify the talent for the show which includes artists Mary J. Blige, Snoop Dogg, and Stevie Wonder as well as other African American stars. In a recent interview Jamie maintains that his selection of performers are diverse and include people that he has known, admired and respected over the years. Backlash followed when it was announced that the Unpredictable one-night airing was scheduled on the same night as the uber-popular American Idol (whose recent ratings have even surpassed the success of its previous season). Within days, the internet was saturated with rumors that NBC was intentionally sabotaging the Academy Award winner, prompting NBC to schedule a re-airing of the Unpredictable show for the future. Unpredictable airs tonight at 8 PM on NBC. 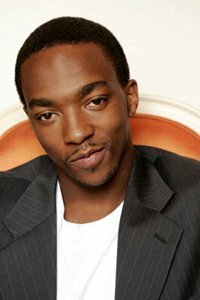 After a long hiatus following the birth of her daughter, Brandy is in development on a new television show for the WB. 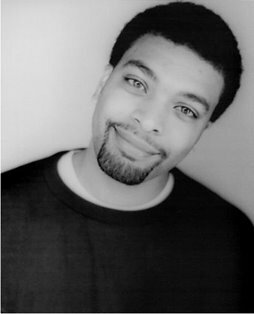 The former Moesha star is in the works to star and executive produce a sitcom about a 20-something New York native who accepts a job as an entertainment editor in Los Angeles. 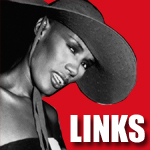 Mara Brock Akil, executive producer of Girlfriends, will write and co-executive produce the pilot. Brandy is in a long line of women in entertainment who are getting involved with every aspect of production--not just their starring role. Kudos. In the words of Alanis Morissette, "Isn't it ironic?" 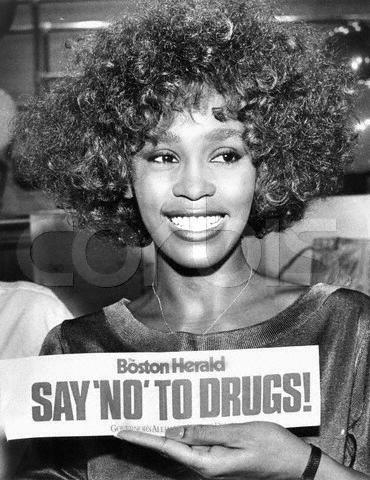 This photo of Whitney Houston is so much more powerful today than it was when originally taken in 1986. 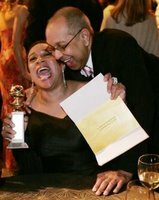 S. Epatha Merkerson is building up a pretty impressive trophy case. 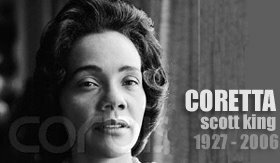 At Monday night's Golden Globe Awards ceremony, she was awarded Best Actress in a TV movie or miniseries for her role as "Nanny" in HBO's Lackawanna Blues. This is the second award she's received for the role (she won the Emmy late last year). "This is so amazing," she said. "I am 53 years old. This is my first lead in a film. I feel like I'm 16. 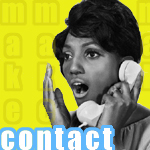 And if I wasn't in the middle of a hot flash, I'd believe that." Outkast: You've gotta love em. 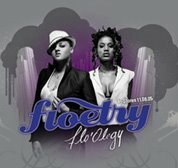 That phenomenal hip hop duo; That tenacious two-some is preparing to go where hip hop has never gone before: Back to the 1930s. 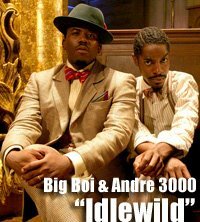 The trailer for their new film, Idlewild, will leave Outkast fans and Historians alike, salivating. 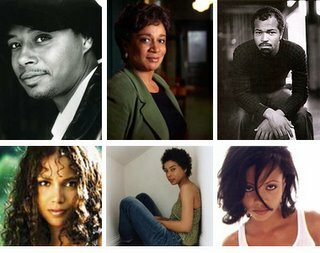 With a cast that boasts Hollywood heavy-weights, including Cicely Tyson, Ving Rhames and Terrence Howard; and household names Patti Labelle, Ben Vereen and Macy Gray, it's certainly aimed to please. The synopsis goes a little something like this: Set against the backdrop of a 1930s southern speakeasy, Percival, a shy piano player, and Rooster, the club's showy lead performer and manager, struggle to keep their dreams alive. 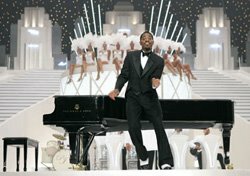 Outkast will perform the music for the motion picture soundtrack, which is scheduled to be released in February. 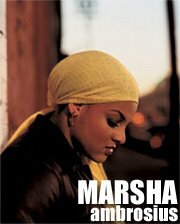 You may remember Miss Prissy (aka Marquisa Gardner) from last year's hit documentary, Rize. The South Central native was one of several young dancers featured in the groundbreaking film that introduced the world to Krumping, a dance-craze that originated in Los Angeles. Since the documentary's success, Miss Prissy has enjoyed some success of her own. She was recently a featured dancer in Madonna's "Hung Up" video and toured with rapper, The Game, last summer. Although she's a fabulous krumper, Miss Prissy's expertise is diverse; she's been trained in (and has taught) ballet and modern dance. We're expecting great things from Miss Prissy, who is on her way to becoming the Hip Hop generation's Debbie Allen. Serena Williams has been making headlines recently. She hasn't won a major, or even a small tournament. What she has done, apparently, is put on a few pounds and tongues have been a-wagging. Journalists around the globe are commenting on the shapely tennis champion's recent weight gain, citing everything from her poor training habits to her genetic predisposition for a curvier backside. All the attention on Serena's figure is bending us "out of shape." As this is being written, the national eating disorder rate has gained more weight than Serena ever will. HBO's Yesterday is one of those films you know you'll love from the moment the opening credits begin. From the wide shot of African landscape, you're aware that this isn't typical Hollywood fare. Filmed entirely in the South African Zulu language (the first film ever to do so), this Academy Award nominee (Best Foreign Language Film) is gripping and poignant in it's tale of the arrival of AIDS to a small village and the devastation it brings. Leleti Khumalo, who first won acclaim in 1993's Sarafina, gives a powerful performance as Yesterday, a hard-working villager who's life is changed when she is diagnosed with HIV. Undeterred by the rejection of her village, Yesterday is determined to see that her 5-year old daughter, Beauty, receives an education before she dies; something Yesterday was denied as a youth. This film will make you cry, laugh and thank God that the producers decided to film the movie in Zulu. The language is like music to your ears and it's wonderful to see (and hear) rural South Africa vividly brought to life. 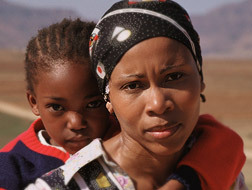 Check out Leleti Khumalo and this wonderful film on HBO or a video store near you. You'll be glad that you did. She became the first female rapper nominated for an Academy Award (for 2002's Chicago); Her third album, Black Reign, was the first album by a female MC ever to go gold; And The Queen Latifah Show, which debuted in 1999, was the first daytime talk show hosted by a Hip Hop artist. Earlier this week, Queen Latifah added another first to her already impressive list by becoming the first rapper to receive a star on the Hollywood Walk of Fame. Latifah had this to say about the accopmlishment: "I think the reason I am here is to inspire African-American women who are rappers, full-figured women to know that they can do it, too." Latifah's latest film, The Last Holiday, co-starring LL Cool J, opens in theaters January 13th. Awards season continues to heat up as more nominations are announced. Terrence Howard has proven to be this year's awards darling garnering best actor nods from the Golden Globes, Independent Spirit Awards and the African American Film Critics Association for his work in Hustle and Flow. Following the success of her Emmy win earlier this year, S. Epatha Merkerson has also been awarded 2 Best Actress nominations, from the Independent Spirit Awards and the Golden Globes. The Golden Globe nomination puts her in direct competition with Lackawanna Blues producer--and 2000 Golden Globe winner--Halle Berry, who was also nominated for her role in the film adaptation of Their Eyes Were Watching God. Whatever the outcome, Lackawanna Blues' critical success has already made them both winners. The dynamic Jeffrey Wright receives more acting accolades, this time for his supporting role in Broken Flowers from the Independent Spirit Awards; And British Actresses Thandie Newton (Crash) and Sohphie Okenedo (Hotel Rwanda) have both been honored with Best Actress nods from the London Film Critic Association. The entertainment world is abuzz with speculations about who The Oscars will give their golden seal of approval . Academy of Motion Picture Arts and Sciences nominations will be announced Jan. 31st. 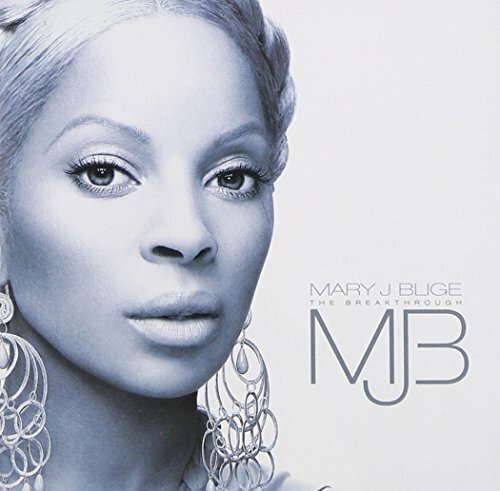 Mary J Blige's aptly titled, "Breakthrough" became the highest selling first-week release for a solo, R&B female artist according to SoundScan. If anyone doubted that Queen Mary reigns supreme, the figures speak for themselves: With 727,000 units sold, "Breakthrough" becomes the 5th best selling release for a woman--of any genre. Mary J. Blige joins Britney Spears, Norah Jones, Shania Twain and Mariah Carey as one of the few female artists to enjoy such phenomenal success. Born in South Philly, Debra Shaw was destined for greatness. If she hadn't discovered her passion for fashion, Debra could very well be draped in medals instead of designer garments. As a teen in New Jersey, this six-foot beauty aspired to become a track-and-field athlete and was coached by the father of the legendary Olympic gold-medalist Carl Lewis. After being approached to model, Debra packed her things and headed to New York to pursue a career in the fashion industry. Since then, she has moved to Paris, appeared in several high-fashion magazines (including American and Italian Vogue), been featured in international ad campaigns and modeled in shows for some of the most recognized designers in the world. Aside from her duties as model and wife (her 1997 wedding was covered in U.S. Vogue) Debra Shaw is a humanitarian whose benefit shows have included Nelson Mandela's Children's Foundation (with Naomi Campbell) and the World Vision Hunger Campaign. 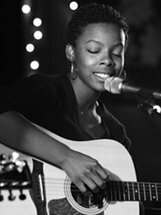 The Cocoa Lounge cordially invites you to meet Debra Shaw. 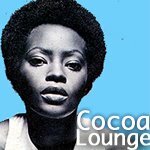 Cocoa Lounge: As a child, did you ever imagine that you'd become a high-fashion model? CL: Was there any particular model that inspired you to enter the fashion industry? 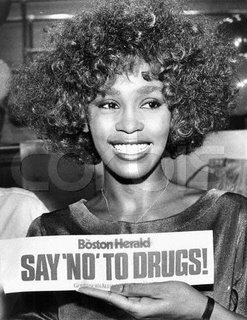 DS: There were quite a few models from Philly that inspired me like Ziggy, Debbie Cobb, Yvette Prescott, Tammy Echols (personal stylist to Camille Cosby). Tammy went to the same church as I. She would walk with grace and would elegantly put her money in the collection plate. 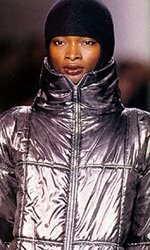 Then once I got into modeling more, I started discovering Iman, Katoucha, Roshumba, Rosalind Johnson and Karen Alexander. CL: What was your "big break?" DS: I've had several big breaks. I can't really say it was just one. But the first was when I won a modeling competition in Newark, NJ. The prize was a trip to Paris. The second was winning another competition in NY. 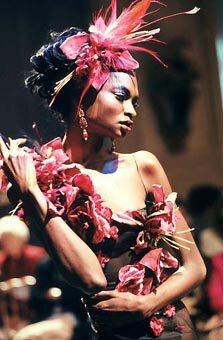 Then later on, my other big breaks were: working for John Galliano, Alexander McQueen, photographer Tyen, Xuly Bet, Thierry Mugler, Versace. 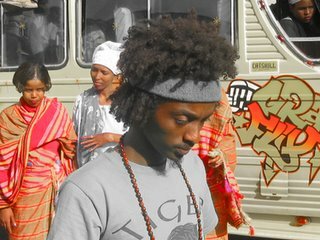 And the most incredible break, is discovering that I am on a collectors stamp in Christian Dior Masai outfit. I still have this in a frame today. CL: How has the industry changed for black women since you began (if at all)? DS: In the industry today, there can only be one black model on top--and always a similar looking one waiting to replace you, whereas in the 80's there were several top black models to look up too. I would like to see the industry change back to this. There are so many beautiful black models, different shades and shapes. It's important to see variety and quantity. CL: Who are some of the designers that you have modeled for? DS: I worked for Versace. His very last show. Chanel, Dior, Gianofranco Ferre, Givenchy, Oscar de la Renta, Thierry Mugler, John Galliano, Xuly Bet, Valentino, Armani , Paco Rabanne, YSL and so many more known and unknown. CL: Here's the burning question on every woman's mind: When the show is over do you get to keep the clothes? DS: Sometimes. But usually not! It depends on the relationship you have with the designer. They will normally give away the shoes from the show. CL: We've read somewhere that you live in Paris. How did you come to live abroad? DS: I was told by several agencies and former models that Paris would be the best place for me. When I arrived, I fell in love with the city right away. I never really planned on living here, it just sort of happened, the way things were happening for me here. So I never left. CL: How is living in France different from the U.S? DS: France is a slower lifestyle. Three hour lunches. Dinner starts at 9-10pm. You can have a cafe for 2 bucks and stay there all day with no pressure to order anything else. Being from the U. S. you are some what interesting for the French, so they like to get to know you for that alone. Customer service does NOT exist here at all. There are alot of good underground artists that may never be heard in the states. I find that the French people are more accepting/open minded as far as beauty lifestyle. Beauty for them is being natural. CL: Back on the homefront, Philadelphia has become the home of a soul/hip-hop Renaissance (Jill Scott, Roots, Bilal, Jaguar, etc). Are any of these artists in your CD player? What's on your current play list? DS: All of the above accept for Jaguar. I never heard of her before but I will check it out. N'dambi, Unwrapped vol. 1 by Hidden Beach, Kelis' new CD, Neptunes new CD and Jill Scotts new CD. CL: We hear you're a singer, as well. How would you describe your style? DS: How did you find that out! I never really talk about that! Good work. I really do not know what my style is because I am influenced by so many types of artist. I love gospel, jazz, neo soul, underground artist like Sandra St. Victor, Carleen Anderson, N'dambi, Mica Paris, Maysa, and Soul singer Ledisi. My friends have told me that my style is similiar to Jill Scott. CL: Have you had any funny/interesting runway experiences? DS: Hmm.... I'm sure I have. Let me think of a good one for you. Okay, this did not happen on the runway but at a fitting for a runway show for Gianofranco Ferre when he was designing for Dior. It was my first Haute Couture show ever! My agency was so excited for me to get this job. They prepped me before going to the fitting. They told me to eat because you may get nauseous because fittings can be tiring and you stand alot. So I was too excited to eat so I just grabbed a milkshake. When I got to the fitting, the assistants and the designer tried several outfits on me for the show the next day. When they fit me for the very last outfit, which was \a long red fitted gown, they kept pinning it tighter and tighter on me so that it will fit perfectly on me. All of a sudden I got a little nauseous. I started looking at all the composite cards on the wall of all the top models booked for the show, like Katoucha and others. I started to get really nervous cause I could not believe I would be doing a show with models I looked up too. Meanwhile, they are pinning that dress tighter and tighter on me. I started focusing on the trash can across the room. Telling myself if I can just make it there I will be fine. Well, I did not make it to the trash can. I made it halfway and ended up throwing up on the designer's expensive shoes Mr. Ferre. All of a sudden I hear the assistants saying "Save the dress,! Save the dress"! They immediately took the dress off and I ran to the toilet. I stayed in the toilet for about 15 minutes, thinking how I made such a fool out of myself. When I came back to the fitting room they told me that my fitting was over, Thank you, that's it. I went home so sad inside because I knew that they did not want me any longer for the show. I called my agency and told them to send the designer flowers for me but I did not tell them why because they warned me that this could happen. I did end up doing the show. But for several seasons after when I would go the casting for Gianfranco Ferre, he would not book me, he would just look at me and smile and that was it. Finally we end up working together just recently. And now he books me every season, but we never discuss what happen in the past. CL: What are some misconceptions about models that you'd like to clear up? DS: That it's an easy paid job. It's not true! You travel a lot, go on castings daily and have people judging/criticizing you daily. It can really be a very stressful job (mentally) sometimes. CL: What's a typical working day like? DS: Wake up. Call my agency for my agenda. Then dress the part for the job if required. If there aren't any castings for the day, I then try to create some with my agency by suggesting ideals. CL: If you weren't a model, what could you see yourself doing professionally? DS: What I am presently doing now along with modeling. Being a fashion editor/stylist for Spoon magazine. I love the ideal of being behind the scenes and creating a story and image for a person or for photos. CL: Is there any advice you'd like to give to aspiring models? DS: Being a model is not based on looks to me. It's based on determination. If you know that is what you want then by all means necessary, go for it! You really need to be strong in your mind. Confident about yourself. Because you will be criticized alot. That is how you get the job. So if you do not get it because the client does not like something about you then fine, move on-- its their loss. But you should not believe that something is wrong with you because alot of times the clients do not really know what they are looking for, so don't take it personally. Go out and create work for yourself as well. Try to meet the photographers you would like to work with. Study the magazines' runway shows to see what is the lastest style. The agency will help you but you must help them as well. Sometimes agencies loose confidence in you and you must show them that you still have something to offer. Most of all, if you can help it, don't put a time limit on your goal. 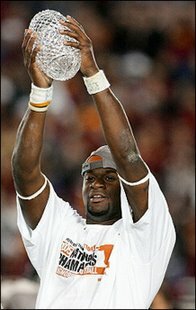 If you want it and you know within that this is for you, and people believe in you, then stick with it. It's all about timing. Being in the right place at the right time so to speak. So you really can't put a time [limit] on that! Like EPMD we're Back in Business! 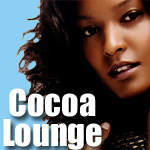 Cocoalounge.com returns as the leading provider of information related to all things black and beautiful. We took a hiatus to pursue some of our own personal and professional endeavors but are back rejuventated and ready for service. 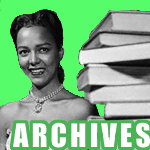 The Cocoa Lounge is a resource for anyone seeking information on Black women in the worlds of art, entertainment, fashion, literature, and sports.